Join us as we construct another great bag while learning the ins and outs of sewing with cork fabric. This pattern is beginner friendly...simply bring your sense of adventure. We are asking all students to please purchase pattern and fabrics and have pieces cut prior to class so that we have sufficient time to complete the sewing. Anyone with cutting questions or concerns prior to class should stop in for guidance . The Squiffy Sling is a great beginner sew. With fun asymmetrical styling but just one pattern piece for outer and lining, it's a quickie! This is a great pattern for showing off your interesting fabrics. 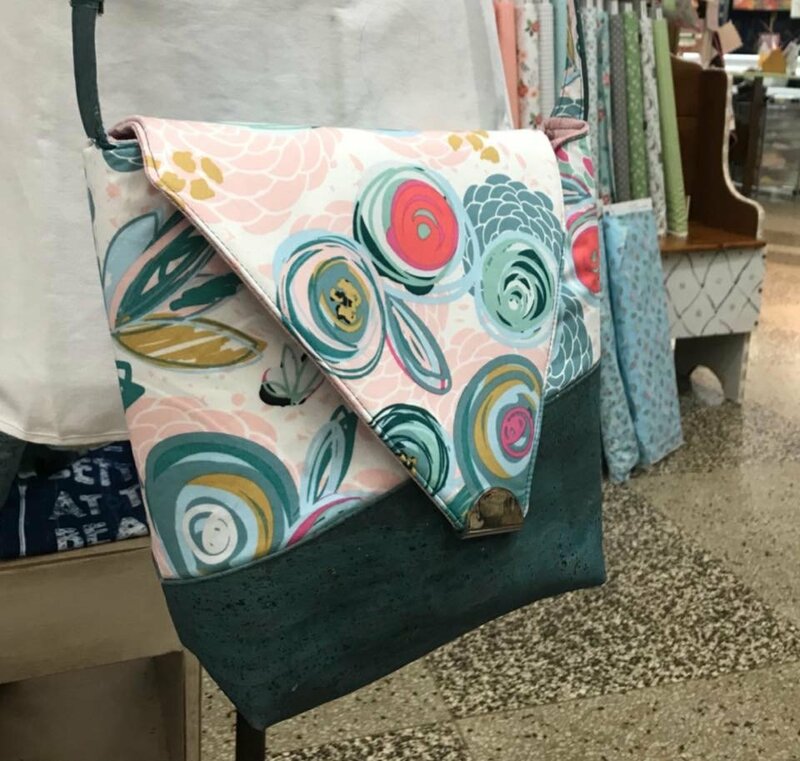 Use a solid fabric in a bold colour to contrast with your faux leather base overlay, or use a fun design to really make the shape of the bag pop. Requirements: Pattern , fabric and supplies as indicted, Sewing machine, basic sewing supplies, 90/14 microtex needle. Teflon presser foot or walking foot, hem tape or fabric glue, wonder clips.